We made it! 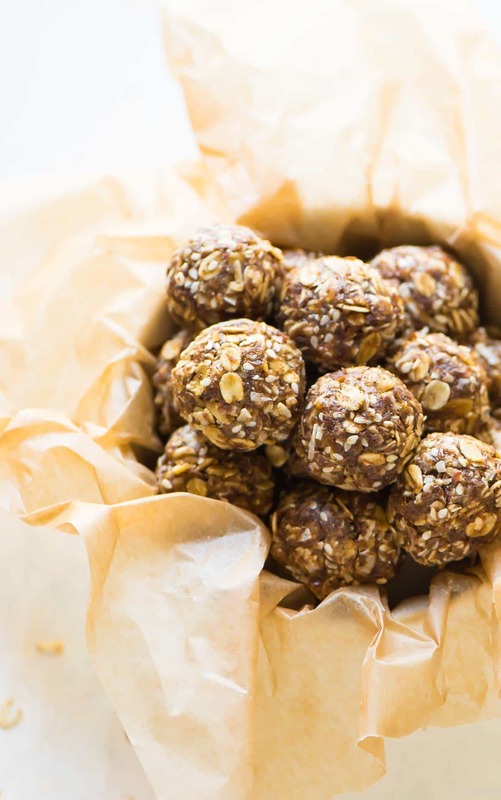 It’s the end of the week, and it’s time for something sweet: healthy energy balls that taste like bites of gingerbread cookie dough. They’re a Monday kind of wholesome with a Friday kind of flavor. They’ve also been my saving grace this week. After publishing my Summer Bucket List on Tuesday, I had a small panic attack that we are halfway through June and I hadn’t checked off a single thing on it. My theory that putting our hopes and goals into the universe is proving true because instead of spending my time on responsible things like work or cooking myself a proper breakfast, I’ve been scanning state park websites for campsite availability, calling locals farms to see when strawberries will be available for picking, and ordering straw hats. Instead of “adult” groceries like vegetables and chicken, I walked out of the grocery store with three bottles of rosé, a basil plant, and a watermelon. The summer bug bites hard, and I’m scratching! While my January self might view my current disregard of meal planning and laundry washing as unwise, my June self is quite pleased with the look of her calendar over the next few months. She’s also very, very grateful to have a stash of Ginger Cookie Healthy Energy Balls in her freezer, because the only thing in her refrigerator right now is a half-eaten watermelon and an almost-empty jar of peanut butter. 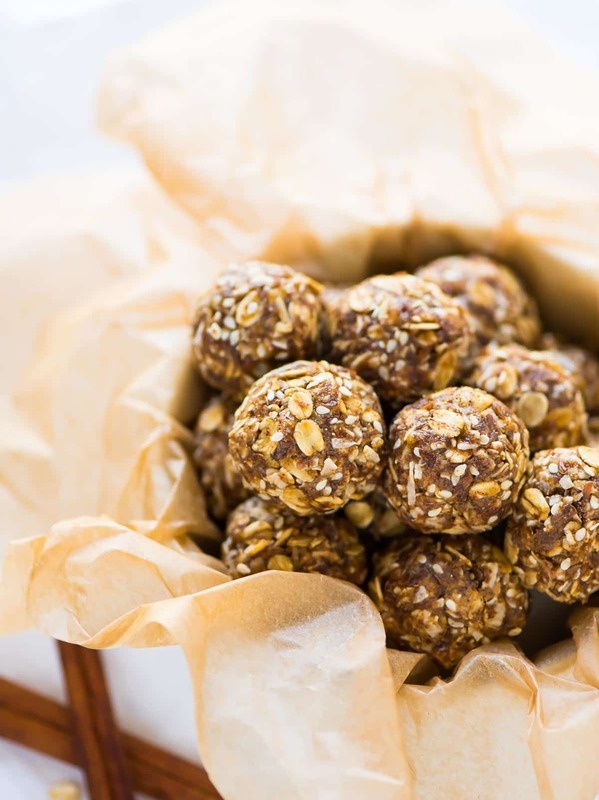 The recipe for these healthy energy balls hails from my lovely friend Phoebe’s book, The Wellness Project. You may know Phoebe from her blog, Feed Me Phoebe, which is how the two of us “met,” first on the interwebs, then in person when I visited New York. 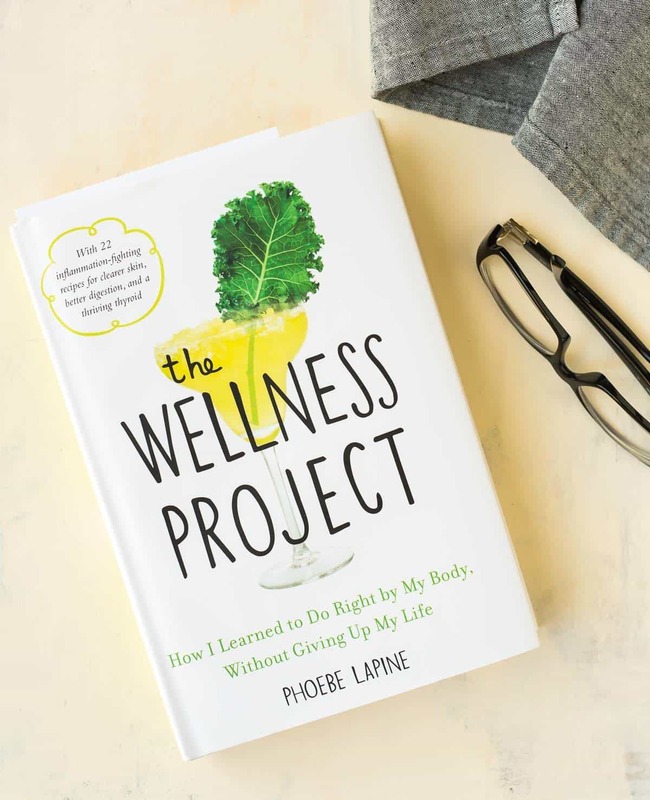 In the book, Phoebe honestly, often hilariously, chronicles her yearlong experiment to regain her health and feel more, well, well. She tries everything from cutting out caffeine, sugar, and alcohol (at the same time!! ), to supplements, to using all-natural beauty and home products, to drinking aggressive amounts of water. Every chapter describes a new regime she tests, her honest findings of what did/did not seem worth the sacrifice, and tips for those looking to try something similar. A large driver behind Phoebe’s experiment is Hashimoto’s, a thyroid disorder from which she suffers and about which she talks openly throughout the book. Although I am fortunate enough not to suffer from chronic health issues myself, I still thoroughly enjoyed the book and found it relatable. Phoebe’s tone is fun, chatty, and honest, she presents research where it’s needed, and, best of all, she finds actual balance between extremes. Reading it felt as if I were sitting down for coffee with a friend. These Ginger Cookie Healthy Energy Balls are also vegan, raw, gluten free, no bake, and naturally sweetened. The good girl gang is all here, and they still taste like ginger cookie dough. On a Friday, Monday, or any day, I couldn’t ask for more! 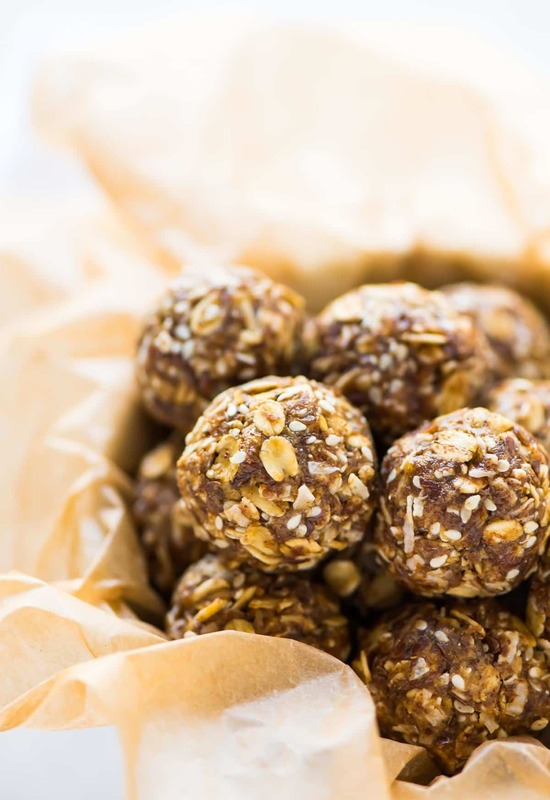 Healthy Energy Balls that taste like ginger cookies! 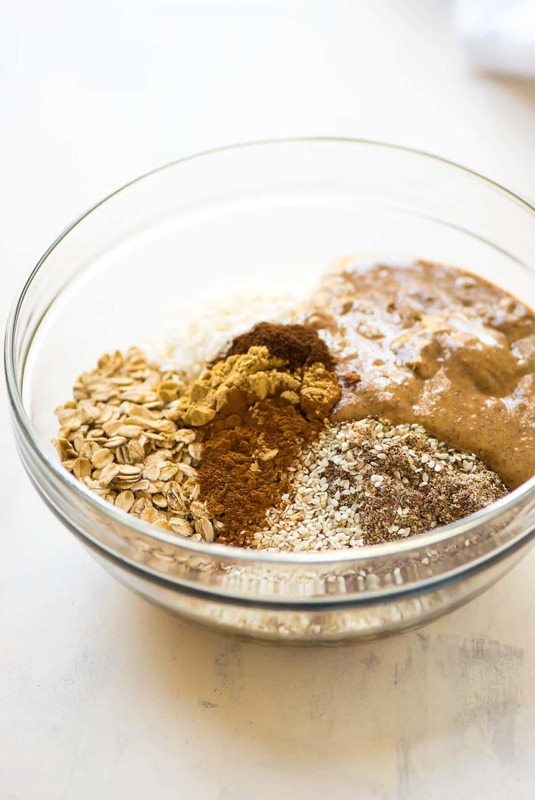 Easy, no-bake recipe with oatmeal, almond butter, and flax. Raw, vegan, high protein, and gluten free. Add all of the ingredients to a large mixing bowl: oats, almond butter, coconut, flaxseed, sesame seeds, maple syrup, cinnamon, ginger, cloves, and salt. Stir by hand with a wooden spoon or spatula, until the mixture is incorporated and sticky. Place the bowl in the refrigerator for 10 minutes, or until the mixture is firm and easy to shape. With damp hands, take 1 tablespoon of dough and shape it into a compact 1-inch ball (squeeze a little as needed) and place it on a plate. (Keep a bowl of water by your side, since the mixture is easier to handle with damp hands.) Repeat with the remaining batter. Enjoy immediately or store in the refrigerator for 2 weeks or freeze for 3 months. *If you prefer not to use maple syrup, you can swap raw honey or 1/3 cup chopped Medjool dates. If using dates, puree them in the bowl of a food processor along with the almond butter first, then add the resulting paste to the bowl with the other ingredients. Store in the refrigerator for 2 weeks or freeze for 3 months. Oh my goodness yum! These look delish, I love any dessert with ginger (gingerbread cookies, gingerbread loaves, ginger candy), and now I can feel good eating my dessert :) And you will not regret taking advantage of summertime for a second. I haven’t made a bucket list yet, but you’ve inspired me to do so! Hi! These look great. Could I sub chia seeds for flax? Hi Karen, chia seeds and flaxseed meal actually act differently in energy balls, because chia seeds are a little less moist. If you want to experiment, I think you could go half and half. If the energy balls seem too dry, you can just add a little more almond butter or maple syrup. I hope you enjoy! It’s a good thing you know that up front, Susan! Clove definitely can get strong. I’ve been meaning to tell you this for a while now, but today’s post pushed me over the edge. Your blog is hands-down the most well-written food blog out there! I follow several crafty chef bloggers, but I always enjoy reading your posts the most. Your pictures are splendid and your recipes are wholesome and delish. Your writing, however, is stellar! It is fun, engaging, and full of catchy little phrases. Thank you for putting in the time and effort to make it that way. Now I’m gonna make some ginger cookie energy balls… mmmm. Evelyn, I am absolutely blushing! Thank you so, so much. I really love to write and put careful attention into that aspect of my blog, so to know that it is appreciated means so much. Have a wonderful weekend and thanks again! I’m unable to eat nuts, but can have seeds. How do you think this recipe might work with sunflower seed butter? Thanks! These look so yummy! I love the ginger cookie flavor idea. And I know what you mean about the to-do list. Ah, well. We just do the best we can! I agree with Evelyn’s comment above! Spot on ;-) I love your Blog Erin. I’m off to the grocery store for the couple of items I don’t have to make these ‘beauty balls’. Love that normally I would have all these ingredients on hand – I already know I’m going to love them – and will be making them often. Thank you! Susie, THANK YOU! That is so, so kind. <3 I hope you love the balls too! Ginger is one of my new favorite “superfoods”! These look like the perfect snack, thanks for the recipe! Just made these and they’re pretty good! Definitely taste like dessert even though they’ve got clean ingredients. I do think they were just the slightest bit lacking in flavor. Next time I might try adding raisins or candied ginger or something along those lines. Hi Sydney, those add-ins sound delicious! I’d love to know what you think if you try adding them in! Jim, I’m so glad you enjoyed these energy balls! Thanks so much for taking the time to leave this great review! I love your recipes, by the way! Hi Anna, I wouldn’t do more than a few teaspoons because molasses is very strong. You can certainly experiment, adding more of the dry ingredients if the molasses makes the balls too soft. I hope you enjoy! And thank you so much—it makes my day to hear that others are enjoying recipes from my site! Great recipe . Is there a substitute for sesame seeds? Hi Tracey, I haven’t made that substitution myself, but you could try swapping in some finely chopped nuts! I LOVE anything with ginger! I have these pinned to try later! That book sounds fascinating. I don’t have any health issues, but I’d be curious to hear her perspective on all the different ways we hear that can improve our bodies and minds. Absolutely love these cookies! I would like to reduce the amount of maple syrup as I need to limit my total sugar/fructose intake. Can some water (or another low sugar ingredient) be substituted to get the mixture to stick? By adding some water, will I risk mold forming on the raw grains/seeds even if the cookies are refrigerated? Hi Deborah! I’d suggest adding more almond butter and would not recommend water as I think it would make the balls very runny (and might cause the issues you mentioned too). So happy you love these!! Do you recommend a substitute for the shredded coconut? Hi Holly! I haven’t tried it without the coconut, but you could leave it out and slightly increase the oats if it seems too wet. I hope you enjoy if you decide to experiment! Did you use roasted almond butter or raw? Amy, you can use either! Thank you for sharing this recipe! I love it. I add crystallized ginger. My best batches were made with a moist, crunchy almond butter. YAY Tina! I am so pleased to hear this, thank you (and thanks for the almond butter note too)! Loved this recipe! I subbed the maple syrup for molasses, to make it more iron-heavy. Also added a small handful of candied ginger that had been sitting in my pantry begging to be used. Excellent balance of spices and textures, thank you for such a friendly, quick, and nutritious recipe! Luz, I’m glad you enjoyed the energy balls! The candied ginger sounds like a delicious addition.